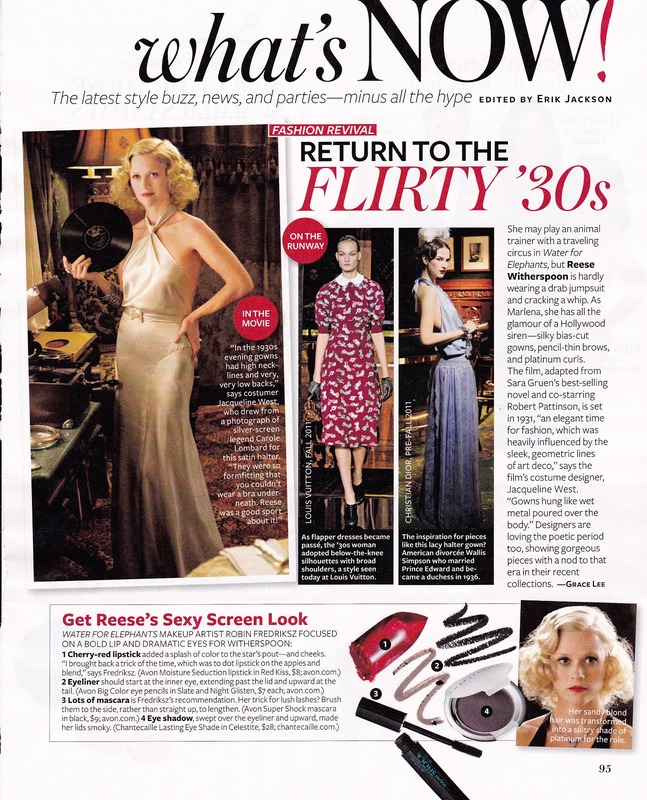 Lo and behold...immediately after I posted my last blogs on Jean Harlow and 1930s inspired gowns, I received my latest In Style magazine and found them highlighting 1930s fashion from the runways and in Reese Witherspoon's new film, Water for Elephants. I love how the movie's costume designer, Jacqueline West, describes gowns from this elegant era as hanging "like wet metal poured over the body." Need I say more? If you want a gown for evening, there is just nothing sleeker and sexier than the 1930s silhouette.